Hurry over and grab this FUN *TOP HOLIDAY GIFT* NeWisdom Magic Kids Microphone, Best 2017 Wireless Bluetooth Karaoke Toy $35.59 (Retail $59.99). 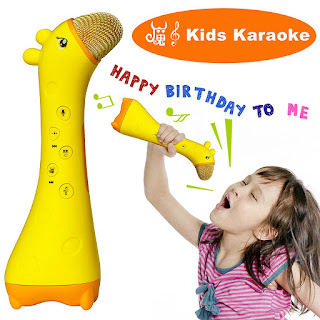 MULTI-FUNCTION portable wireless karaoke microphone with the giraffe design, it also can use as learning machine for kids to learn languages, sing songs. Let your baby have fun when learning and be more confident. BLUETOOTH SPEAKER, not only a microphone, but also use as a handheld bluetooth speaker. What's more, It's work Independently without extra connection, and can rechargeable with the safe battery. NOISE REDUCTION, by adopting the tech of anti noise, clear sound, protect children's ears from shrill scream harm. 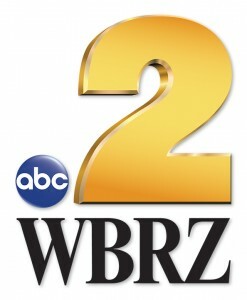 FOOD GRADE MATERIAL SAFE NON-TOXIC, 24 MONTH WARRANTY. Package Include: NeWisdom Kids Karaoke Microphone*1, USB Charging Cable*1, User Manual*1, Service Card*1.